Check out our grilled or semi-dried vegetable spreads & dips! Incredibly tasty and irresistible. 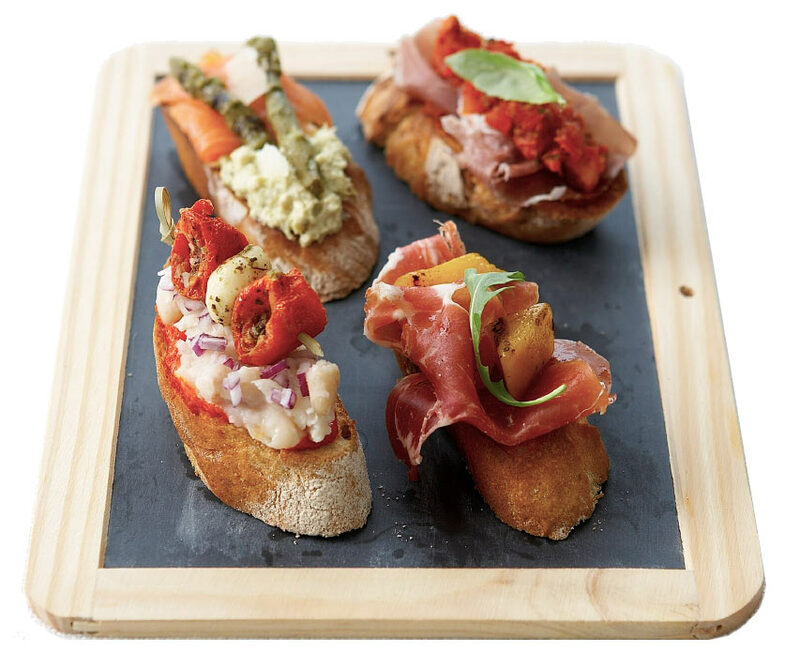 The colors and the flavors will make the difference to your dishes and appetizers! No coloring, no preservatives, just natural grilled vegetates mixed with a Mediterranean twist! Good source of fiber and proteins, gluten-free, appropriate for vegetarians and vegans. Preservative free product. 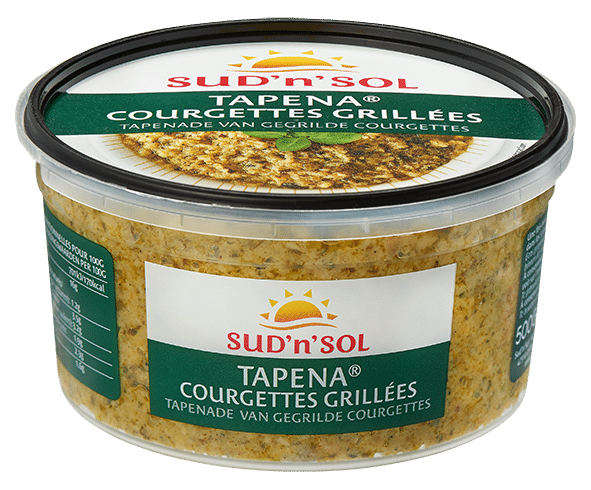 Prepared with rapeseed oil, which allows a 100% natural product conservation while preserving the flavors of the zucchini. Also available in smaller size of 150g in selected stores. Look in the menu under "Marinated Vegetables". 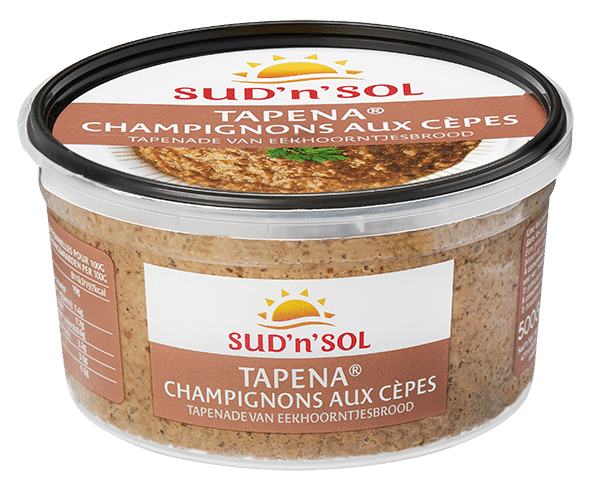 A tapenade must have capers in its recipe to be called "tapenade". Zucchini Tapena’ is a tasty preparations of candied zucchini with Mediterranean flavors. 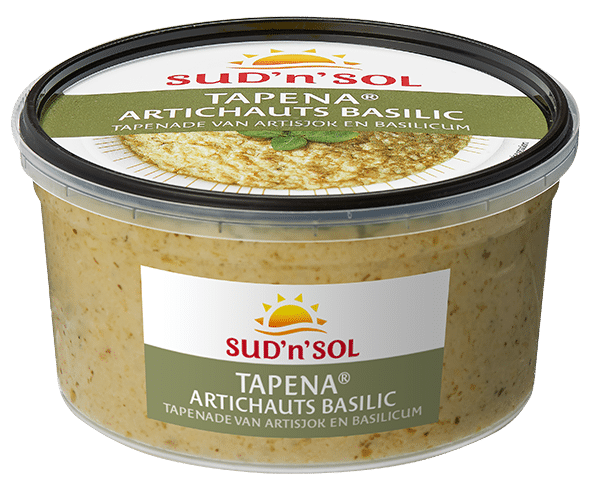 Prepared from fresh zucchini candied and mixed with oils and herbs steeped in Mediterranean flavors, they will brighten your dishes. Grilled zucchini (77%), rapeseed oil, concentrated lemon juice, salt, garlic, basil. Peppers Tapena’ is a tasty preparations of candied red peppers with Mediterranean flavors. Prepared from fresh peppers, candied and mixed with oils and herbs steeped in Mediterranean flavors, they will brighten your dishes. Candied peppers, rapeseed oil, tomato paste, salt, concentrated lemon juice, garlic, sugar. Mushrooms Tapena’ is a tasty preparations of candied ceps with Mediterranean flavors. Prepared from fresh mushrooms, candied and mixed with oils and herbs steeped in Mediterranean flavors, they will brighten your dishes. Grilled mushrooms (69%), rapeseed oil, porcini, concentrated lemon juice, salt, dehydrated porcini powder, garlic, parsley, chives. Cherry tomato Tapena’ is a tasty preparations of candied cherry tomato with Mediterranean flavors. Prepared from fresh cherry tomatoes, candied and mixed with oil and basil, they will brighten your dishes. Cherry tomatoes (61.5%), rapeseed oil, tomato paste, sugar, salt, garlic, parsley, chives, basil 0.1%, concentrated lemon juice, basil aroma 0.02%. Artichoke Tapena’ is a tasty preparations of candied artichokes with Mediterranean flavors. Prepared from fresh artichokes, candied and mixed with oils and herbs steeped in Mediterranean flavors, they will brighten your dishes. Artichokes (74%), rapeseed oil, salt, garlic, concentrated lemon juice, basil. Also available in small size of 150g in selected stores. Look in the menu under "Marinated Vegetables". 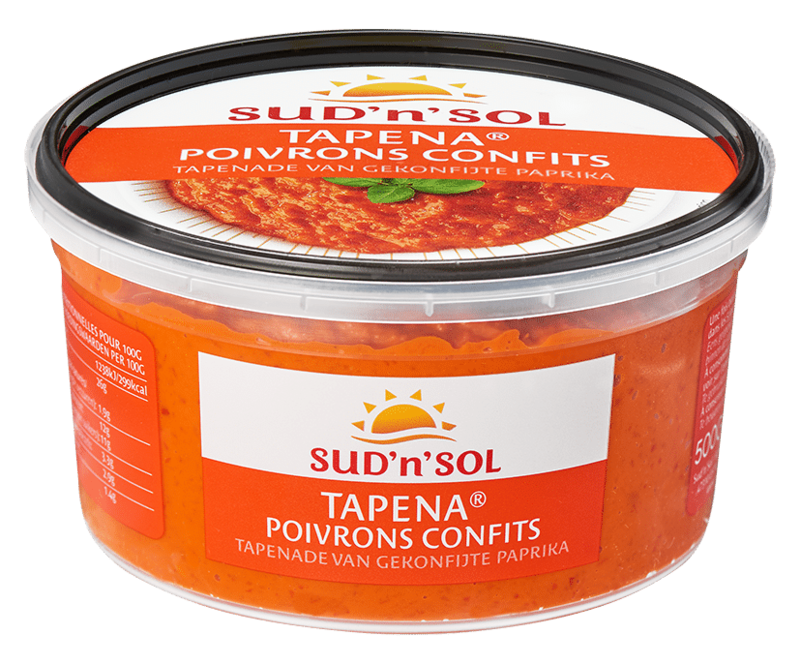 Tomato Tapena’ (Tomatade) is a tasty preparations of candied tomatoes with Mediterranean flavors. 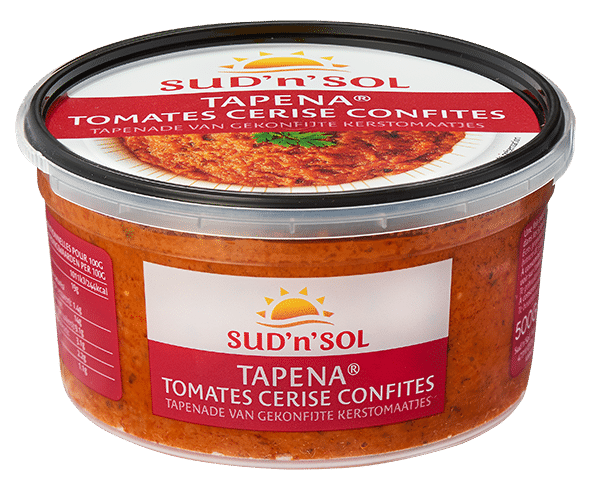 Prepared from fresh tomatoes, candied and mixed with oils and herbs steeped in Mediterranean flavors, they will brighten all your dishes. 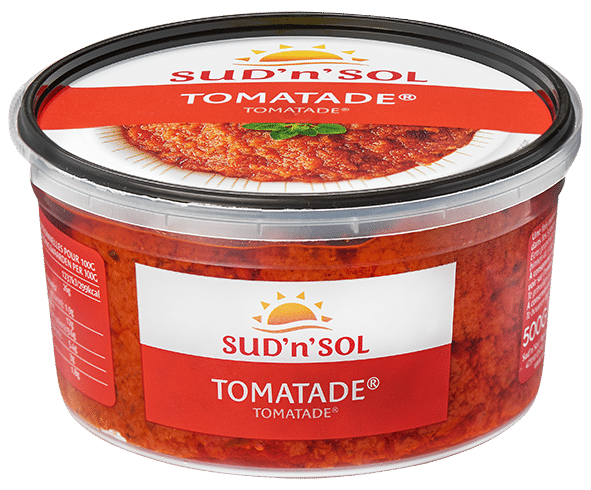 Tomatoes (semi-dried tomatoes 70%, tomato paste), rapeseed oil, salt, oregano, garlic, sugar.